UK: GE Energy has put plans to build an offshore wind turbine manufacturing plant in the UK on hold citing the current uncertainty surrounding the government's renewable energy policy. In 2010, GE Energy vice-president Vic Abate announced plans to spend €110 million locating the manufacturing facilities for its 4.1MW offshore turbine in the UK. It was part of a €340 million offshore strategy including Germany, Norway and Sweden. 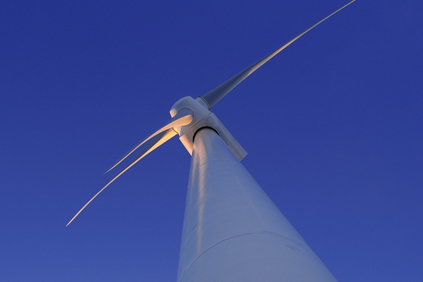 The GE turbines produced in the UK would be used on its 33GW Round 3 offshore programme. However, the company has now put the UK element of the project on hold citing a "lack of clarity [in regulation] creates a difficult investment environment. The government's review of its renewable obligation certificates (ROCs) incentive scheme - with a view to replacing it with a feed-in tariff by 2017 - has been blamed by developers for creating uncertainty in the sector. In an interview with the Guardian, GE Energy managing director Magued Eldaief said: "Our investment is on hold until we have certainty and clarity regarding the policy environment that we are in. "One of the most important things for us is political certainty, so we can justify the business and investment case for a facility in the UK. But we think there are some [political] headwinds which do not help, especially in terms of the subsidies discussion." A GE spokesman confirmed the UK plan was on hold but was unable make any further comment. Eldaief's comments are in line with Vesta's chief executive Ditlev Engel who said the company would not officially confirm its plan to build a manufacturing plant in Sheerness, UK, until government's renewable-energy policy was confirmed. Speaking to Windpower Monthly, Engel said: "Sheernees is a huge investment and it will not make sense if we don't gave the orders to back it up. We need to have the orders so when we invest the money we have the orders to back it up. There's still some time to go but we are in dialogue with customers." Additionally, in an interview in November, Repower CEO Andreas Nauen said the company was targeting Round 3 and was interested in building a UK plant. However, it would not do so until developers had made enough orders to make this feasible. Speaking to Windpower Monthly in April, UK energy minister Charles Hendry said: "We understand uncertainty is the biggest enemy of development," says Hendry. Attempts to mitigate this include bringing the review forward a year, and a promise to protect ROCs on projects built by 2017. The government consultation was finished at the end of January.